The Cherokee Trail was forged in 1849 by a group of Cherokee Indians who were discontent with their reservation lives in Oklahoma. They chose to travel to California to search for gold. They created a new path from Bent’s Fort in southeastern Colorado to the popular trail leading wagons to Fort Bridger in southwestern Wyoming. Seeking the easiest route, they followed the Cache La Poudre River north until it joined the Platte River. Although the Oregon Trail was well-used during the years from 1843 until the Union Pacific Railroad was completed in 1869, the Cherokee Trail also became an important link between the Santa Fe Trail and the northern route to California. 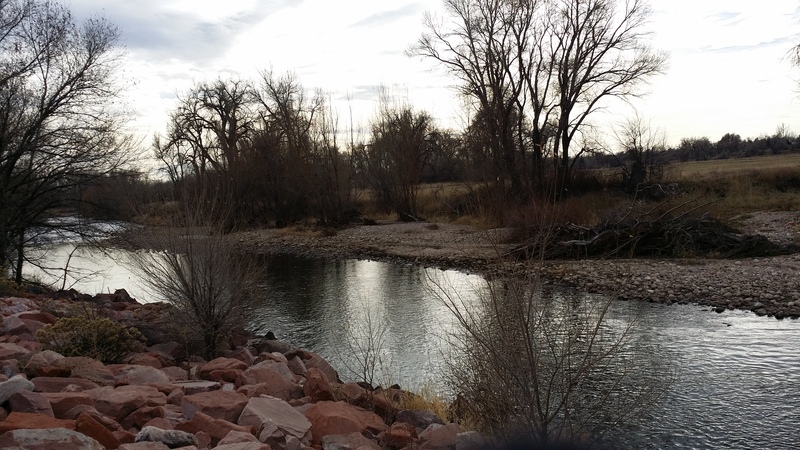 The small settlement of La Porte, Colorado offered the best ford across the Poudre River. Wagon ruts are still visible in La Porte, revealing a trail which headed almost straight north to Virginia Dale from the crossing. As you view the photos, imagine the Cherokees holding their breath as they explored the safest place for oxen and horses to drag wagons across. If the trees were as bare as these, they would also be searching for shelter during the winter and delay the difficult trip west across Wyoming and into the Rocky Mountains. Cache la Poudre is French for “hide the powder” and La Porte is French for “the door”. 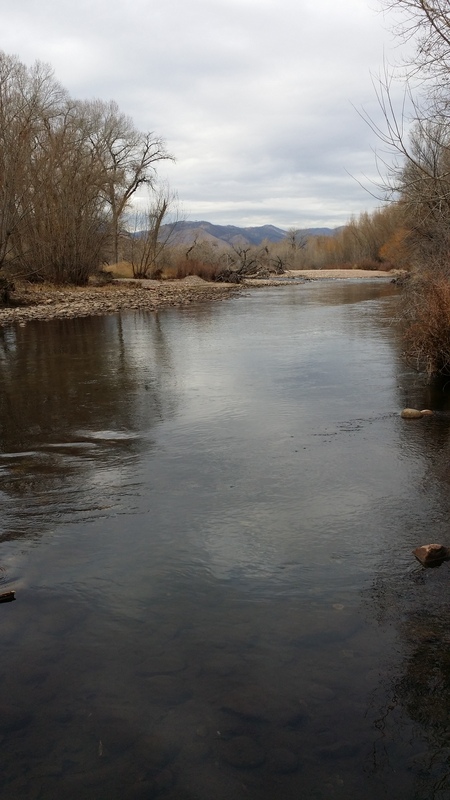 In the 1820s, French trappers were caught in a snowstorm and had to bury their gunpowder along the banks of this river. In 1864, the river flooded in La Porte and destroyed the military post, Camp Collins. When the post was moved and rebuilt, it was named Fort Collins. If you follow the Cache la Poudre to its source in Rocky Mountain National Park, you will understand why it was an important travel route since prehistoric times. Archeologists have found evidence of tipi rings, rock shelters, fire hearths and burial sites. If you were able to camp along the river, would you plan to hike, raft, hunt, fish, set off on horseback, hear a concert at Mishawaka or just have a picnic?